Cube Vase. H-3.15", Pack of 24 pcs Discounts Apply ! 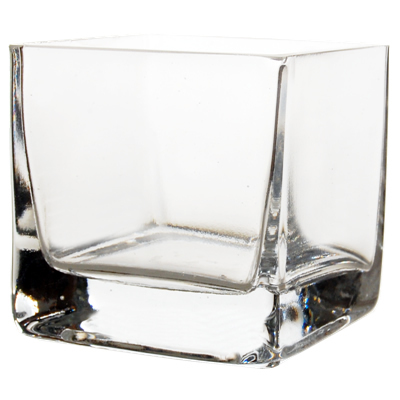 Our cube vase is made of bright and clear glass, it makes an attractive and eye- catching base for floral and candle designs. Fill with our flat gem stones, marbles or stone chips and add flowers; decorate and use as a candle holder for special occasions. You can use it to display small, colorful items such as sea glass, sea shells, pine conesm etc. Dimension: H-3.15", Open 3.15" x 3.15"